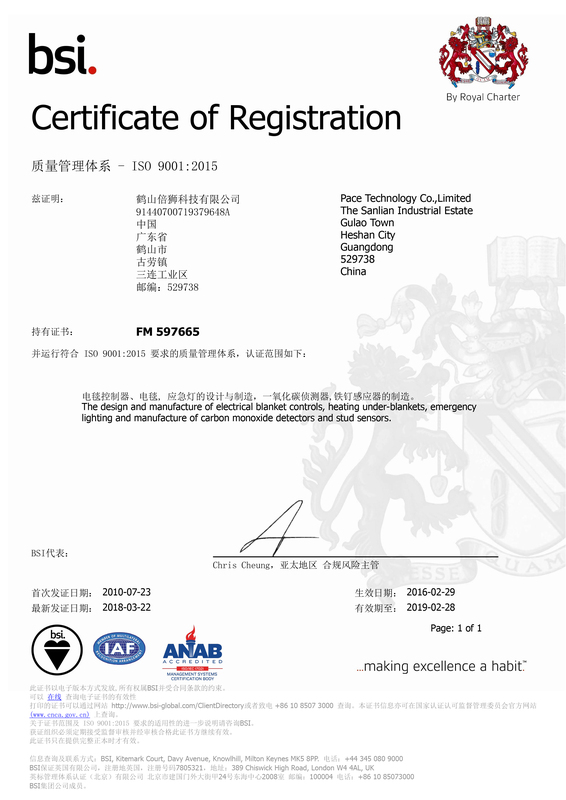 Pace has quality certifications in the U.S. and China. Our headquarters is ISO 9001:2008 certified, has the ability to assemble finished product and is a certified UL manufacturer. 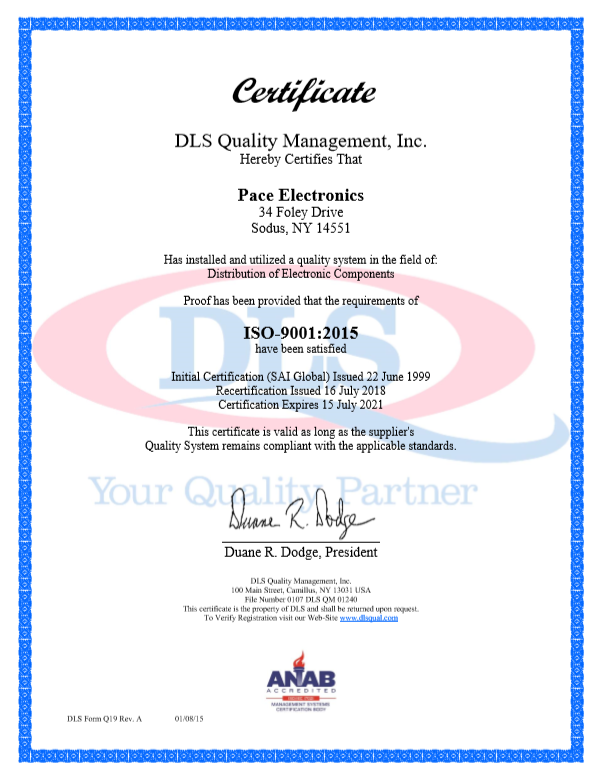 Pace Technology's state-of-the-art facility is ISO 9001:2008 certified and has a wide range of ISO- and QC-certified suppliers, who are UL and TUV approved.